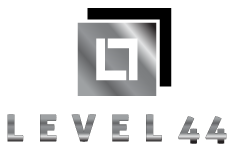 Our associates and partners at Level 44, Inc is composed of an array of professionals with years of experience in business development, marketing, sales and financing. Our diverse team allows us to offer our clients the broadest possible range of expertise and guidance. We have a unique ability to relate to clients because of our previous work experience from corporate America. And we’ve learned to effectively translated this experience into results for our clients. Collectively we have helped 100’s of businesses across the world make effective and sustainable changes to their organizations. Level 44, Inc has successfully increased the profitability of nearly every organization we’ve consulted with over the past 4 years. To date, we are responsible for over $250 million in increased profit and new company growth. Thanks to our diverse staff’s depth of expertise, our firm can offer a broad spectrum of services to meet your needs.
" We’ll be by your side as you strive towards success "